Every year from spring to autumn, Hokkaido beams with colourful nature and fresh agricultural produce. Fruits grown here are known for their delectable taste not just in Japan, but also overseas. Fruit farms in Hokkaido, offer a great way of enjoying nature’s candies by letting you pick your own fruits. Fruit picking or fruit hunting, is a popular harvest season activity among many Japanese families. The sheer joy of eating those freshly plucked juicy treats always takes me back to my childhood days, when I used to sneak into my neighbours yard to eat mangoes. Read along to get all the information on fruit picking and some of the best orchards in Hokkaido to visit. Strawberries – May to July. Cherries and blueberries – June to August. Peaches and plums – August to October. Grapes, apples and pears – September to November. Orchards in Hokkaido are spread over the entire island. 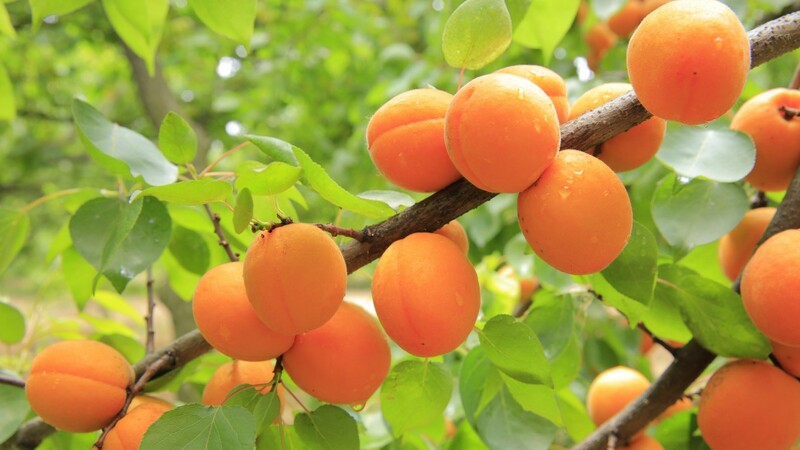 However, areas such as Sobetsu near Lake Toya and Yoichi are the major fruit producing areas. Most of the orchards in Hokkaido offer fruit-picking activities by per piece, weight or an all-you-can-eat feature for a fixed amount of time. You can also a take your pick home at an extra cost. Asadakankono farm is popular for plums and apples. They also grow cherries. The Plum pickle available at the farm shop is a must try. You can do your own barbecue or enjoy Genghis Khan, a traditional grilled lamb and vegetable dish, at the farm cafe. Asadakankono Orchard is only a ten minute drive from Nikka Whiskey distillery. You can also access the farm with a twenty minutes walk from JR Yoichi station. Fees: Unlimited time all you can eat costs 800 Yen for adults. Opening hours: 8am to 5pm, June to October. Sakuranbo-yama orchard is a huge farm with more than 4000 cherry trees. Apart from cherries, they grow plums, peaches, grapes and apples. The orchard also offers mochi pounding and jam making experiences. Between 11 am to 1pm, from May to October,the farm café offers Gengiskhan, Teppenyaki (A dish of meat, fish, or both, fried with vegetables on a hot steel griddle) and Cherry curry rice. You can bring your own meals to enjoy at the resting places as well. Sakuranbo- Yama orchard has a free parking spot and with a prior reservation, they can pick you up from Niki train station in Yoichi. Fees: All you can eat fees 1100 yen for adults. Yamamoto orchard is an organic farm, which is about ten minutes drive from Nikka whiskey distillery. 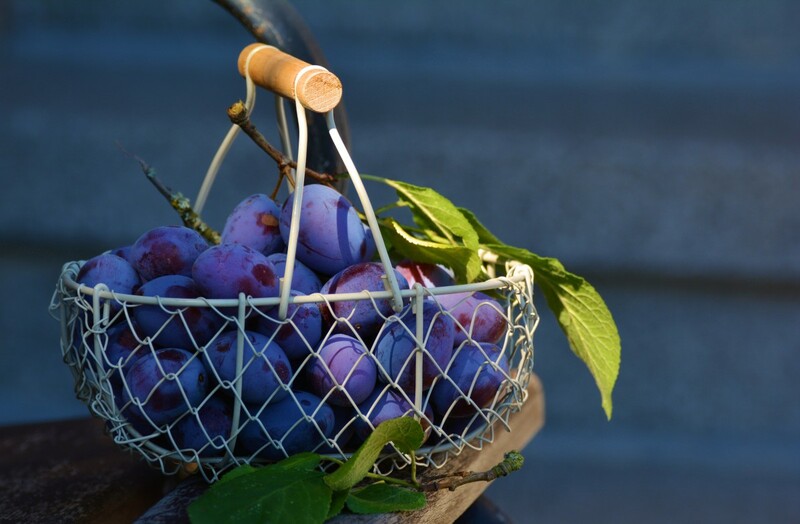 They grow a wide variety of fruits such as strawberries, plums, pears, grapes, peaches and apples. In November you can also pick chestnuts and walnuts. The orchard restaurant offers Gengiskhan, Teppenyaki and delicious apple pies made from home-grown apples. Farm entry and restaurant discount coupons are also available. Opening hours: 9 am – 5 pm June to November. Sobetsu is located at the foot of Mt. Usu near Lake Toyako .Temperate climate along with fertile soil from volcanic ash, helps this region to produce luscious fruits. You can find a number of orchards along the Usu National Highway, also known as route 453. So when you book your stay at Lake Toya, or do a day trip, you can easily make a visit to one of these fruit farms below. Marutake Takashina farm grows one of the rare varieties of strawberries named Kentaro. Known in Japan for its sweetness and stunning red colour, Kentaro is harvested in May. 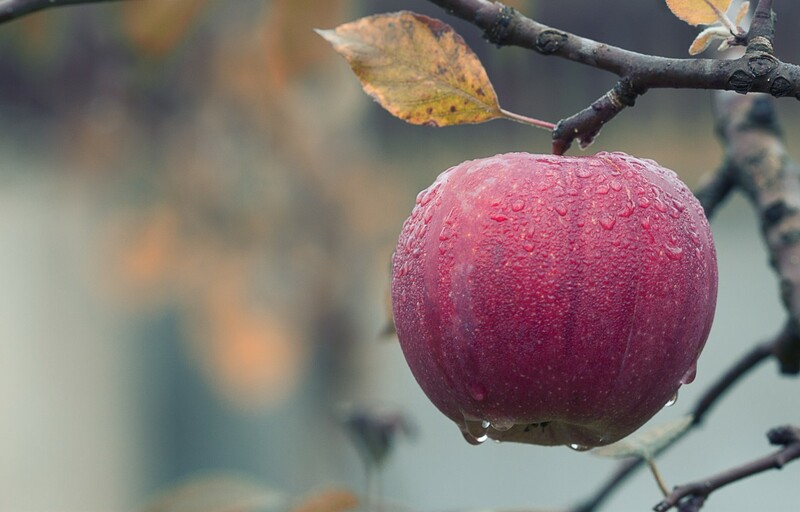 Along with strawberries, they also grow grapes, cherries, prunes, pears and more than 10 varieties of apple. Fees: 800 yen to 1080 yen depending on the fruits. Fruit picking opening hours: 8 am to 3 pm.The orchard prefers prior reservations or on the phone 0142-66-2443. Sobetsu Kudamono Mura is one of the most popular orchards on the Sobetsu 453 route. The farm offers a 60 minute all you can eat fruit experience. 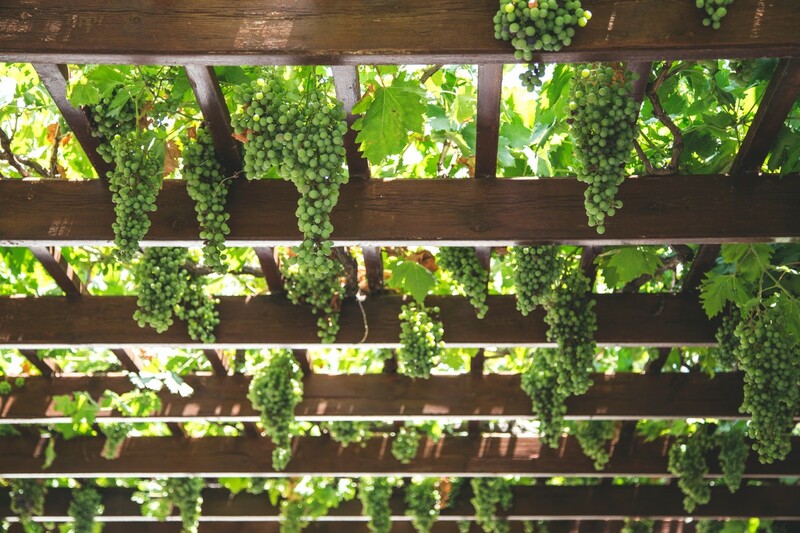 Along with the usual berries and cherries, they grow apples, plums, grapes and chestnuts. Fees: 1080 yen for adults. Opening hours: 9 am to 5 pm from June to November. Ohashi farm is located in Ashibetsu town of Hokkaido. It is about 35 minute’s drive from Furano Lavender fields, and one hour from Asahikawa Asahiyama zoo. The Ohashi cherry orchard, is one of the largest cherry farms in Hokkaido. 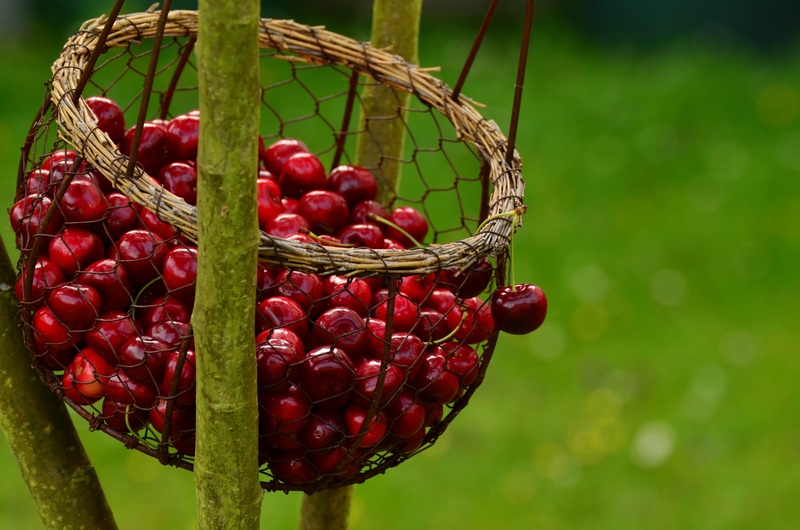 They grow more than 30 varieties of cherries over 1500 hectares of land. It has a rain house which makes it good to visit even on rainy days. The place is kids friendly and has wheel chair accessibility. Check the below video to get a feel of cherry picking at Ohashi farm. Opening hours: 9 am to 5 pm from Early July to late August ( for cherries), August to October (blue berry and plums). Yokoyama orchard is located in Abashiri, the home of the famous Abashiri Prison Museum. The farm grows blueberries, strawberries, plums, apples, and grapes. They also grow, Hasukappu a native species of blue honeysuckle. The orchard is 20 minutes drive from Abashiri Prison Museum. They do not have facilities to store your bags, so it is best not to carry them. Fees: All you can eat fees varies from 300 Yen to 700 Yen depending on fruits. Jozankei farm is easily accessible by public transport and is only a 45 minute drive from Sapporo. They grow apples, strawberries, plums, cherries and peaches. The farm also offers plenty of other activities such as fishing, zip lining and cooking. The small café at the farm offers burgers, curries, and BBQ. Yatsuzenyama Orchard is about fourty minutes drive from central Sapporo. It can be easily accessed by public transport as well. The orchard is surrounded by Yatsuzenyama mountain and Toyohira river. They grow strawberries, cherries, plums and vegetables such as potatoes, corn along with other seasonal vegetables. Apart from fruit hunting, with prior reservations, you can do plenty of activities such as horse riding, fishing, kayaking and mountain climbing. The farm has a barbecue house where you can enjoy Gengiskhan as well. Fees: 550 JPY- 1000 JPY depending on fruit. Opening hours: 9 am – 5 pm, closed on Wednesday except the fruit hunting season. Sunberry Muraoka is the northernmost blueberry farm of Japan. They grow more than twenty varieties of blueberries. It is located in Nayoro town between Asahikawa and Wakkanai. The farm has plenty of resting space and also a playground for kids. You can carry your own meals too. Fees: 700 yen for all you can eat with no time limit. Opening hours: 8 am to 5 pm from early August to mid-September. It is best to not to carry big bags and valuables with you inside the farm. If you can, make a reservation over the phone or by an email, at the orchids you wish to visit. Fruit picking is a great way to bond with the nature, while enjoying fresh and tasty fruits with your loved ones. Which of the above farms interests you the most? Please feel free to write your questions or comments below.